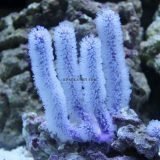 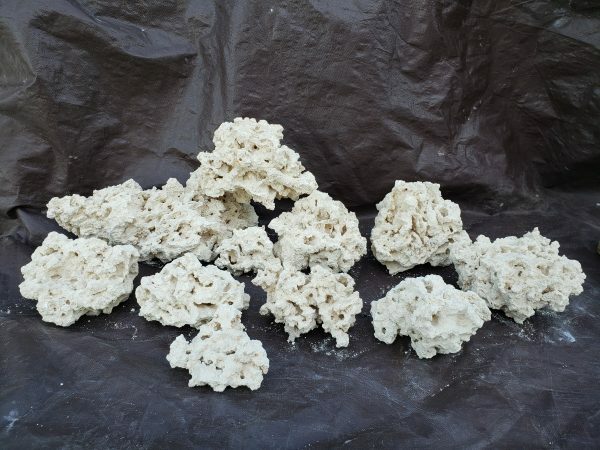 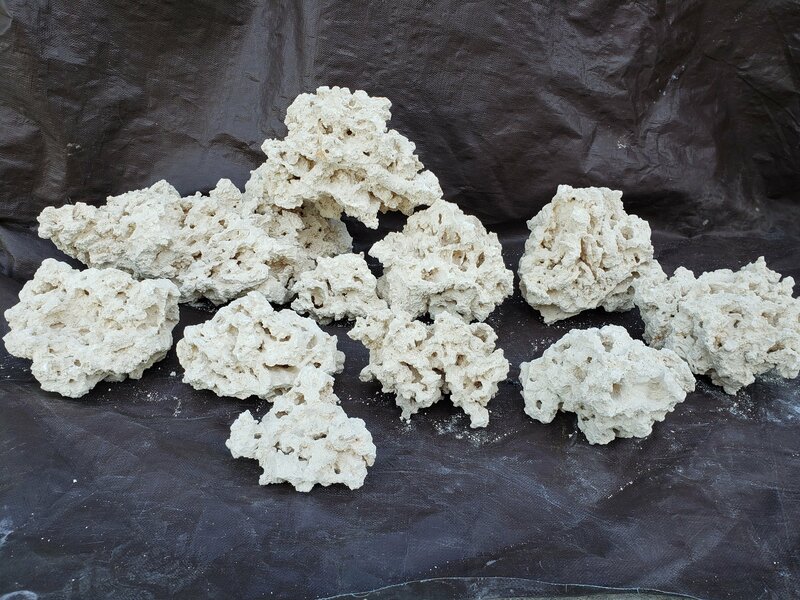 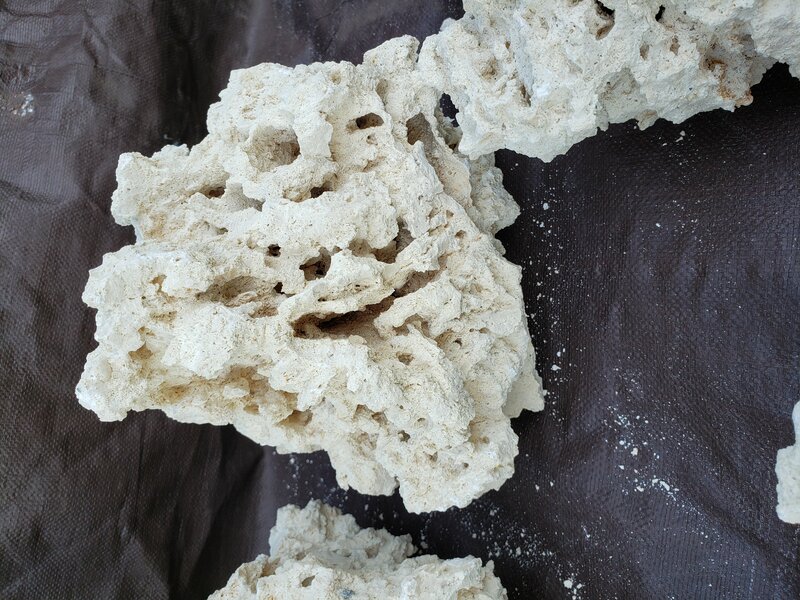 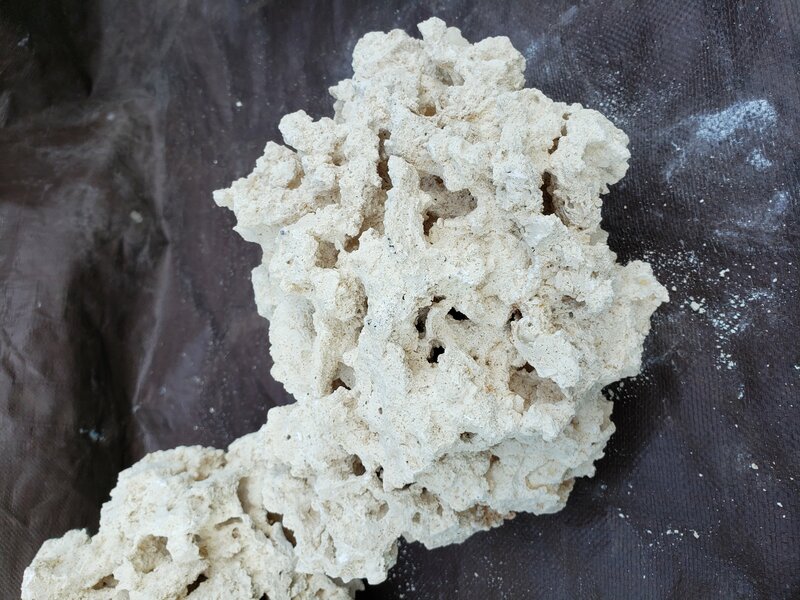 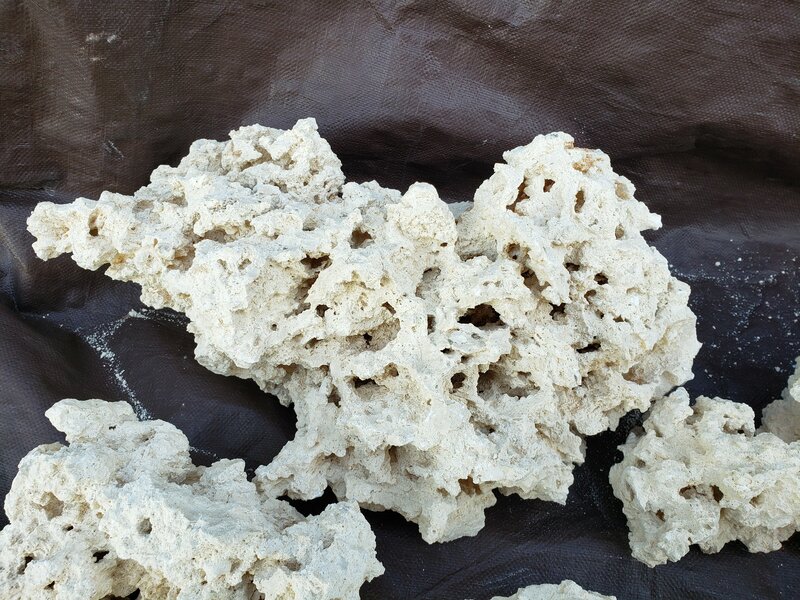 Limestone dry rock is a , porous, light rock which has been fresh water cleaned and is ready to go in your aquarium. 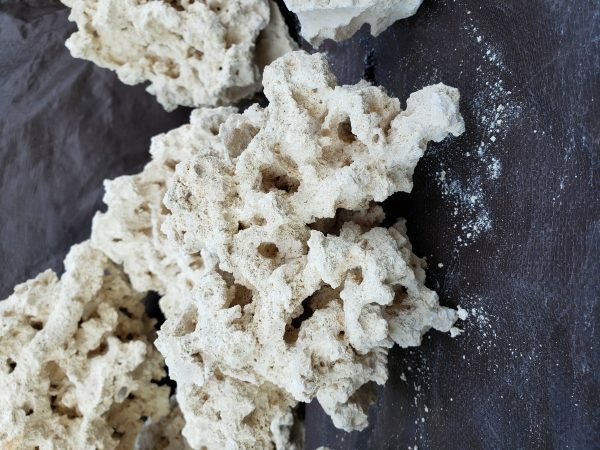 It does not require any additional curing and will color up quickly when added with our KPA Premium Live Rock or slowly over time. 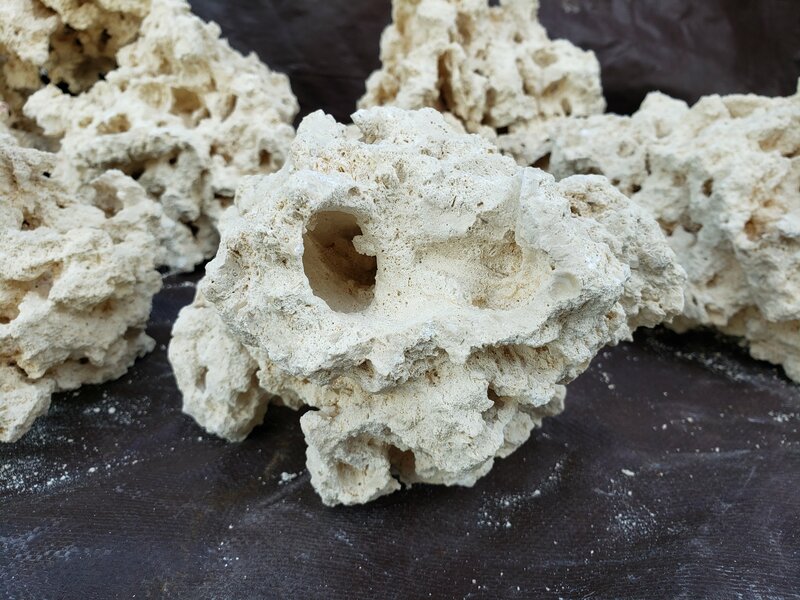 The dryrock has been harvested from land so it does not negatively impact any reefs during collection. 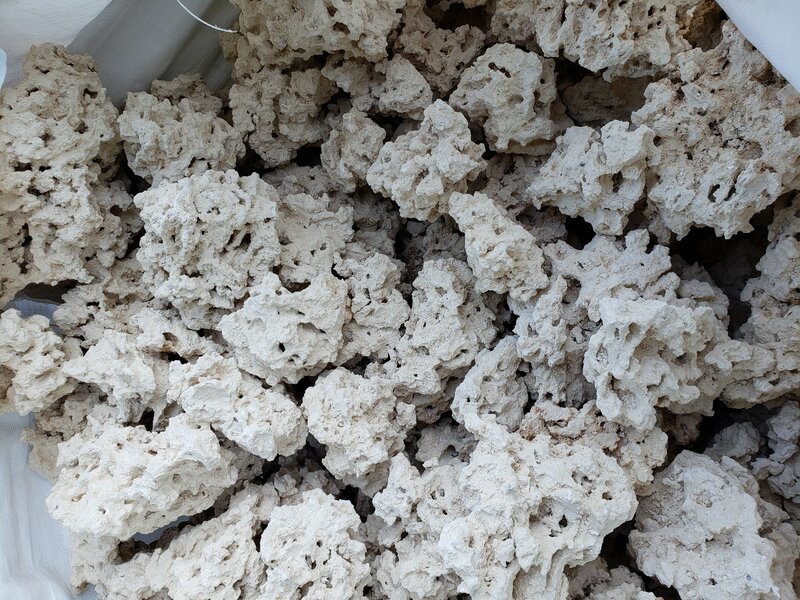 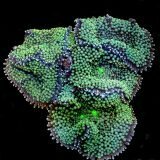 Our Premium Live Rock was initially harvested dry in South Florida like the dry rock, but has been kept in the ocean until beautifully colored from coralline algae and corals and filled with beneficial bacteria. This product will be shipped via Ground and cannot be shipped with any other products.